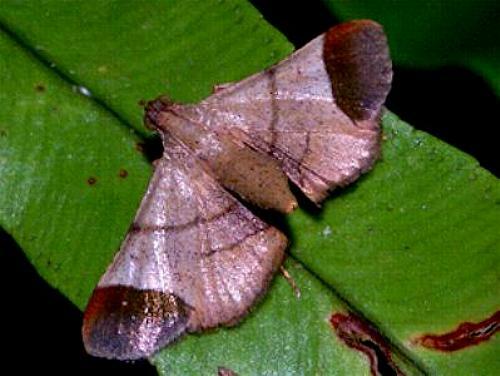 This moth has pale brown wings with some dark brown lines, and with a large darker brown area around the tip of each forewing. The wingspan is about 2 cm. Volume 19 (1905), pp. 58-59.